If you’re looking for insulation companies offering services in Houston, Texas, turn to 31-W Insulation. We are the professionals you can rely on for high quality products and exceptional installation services, having served the southeastern United States since 1972. With more than 40 years of experience backing our work as well as an A+ rating from the Better Business Bureau, 31-W is the company to trust with all of your insulation needs. 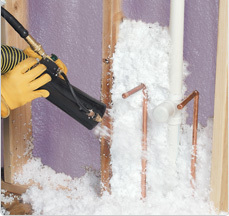 In addition to having 31-W’s skillful employees install these top-brand products, you’ll also benefit from the fact that we can typically complete the entire insulation within a day. We complete the entire project quickly and efficiently, without ever compromising workmanship, to provide you with the most convenient service possible. As one of the best insulation companies in Houston, TX, 31-W Insulation is ready to provide you with the high-quality products and installation services that meet your needs. Contact us today for more information.